In January of last year, I reviewed a brand new vegan pizzeria that had recently set up shop on St. James Street. They were starting out strong and just beginning to make a name for themselves in the local plant based community. Fast forward almost two years and I’ve popped in to see what’s new..
My, how things have changed. First, the interiors. You can’t see the way this place was originally decked out in my first review because I went through Deliveroo, but this is a vast improvement. The illustrations on the walls and menus are stunning, the pizza paddles and pizza cutters dotted about the place and greenery in between booths are both lovely touches and the colour scheme is to die for. It’s a beautiful, well lit venue to while away a couple of hours in. The other point I must touch on before we discuss the food is their popularity. In the months since we last talked about Purezza, they’ve blown up. 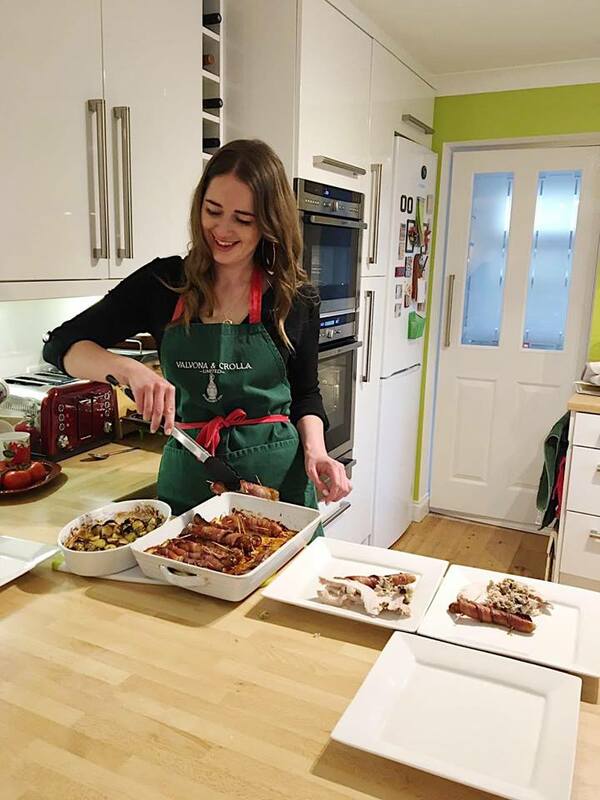 Vegans make pilgrimages from across the country – sometimes across the globe – just to visit the UK’s first vegan pizzeria. They’re name dropped on vegan Facebook groups that I’m a keen observer of at least weekly, and I’m yet to find a plant based pal that has a bad word to say about them. In short: Purezza are killing it. Let’s begin with drinks, shall we? The menu is extensive, with a good selection of wines and local beers. We were encouraged to go for either smoothies or cocktails to get a good feel for what they did well and I’m not a lady quick to turn down alcohol, so naturally we opted for the booze. Tom went for The Whisky Sour, a sweet concoction of maple syrup and cinnamon, enough lemon juice to give you sourface for a second and a good slap-in-the-face measure of whisky. A really good cocktail. I can’t for the life of me remember what mine was called and it’s not on their online menu, but it was minty and filled with crushed strawberries and the balance of every ingredient was absolutely bang on. These were made by someone who knows their way around the bar. All cocktails are between the £7-8 mark and contain enough skill and alcohol to justify this – a rarity in Brighton. The quality of pizza last year was great, but now it’s next level. The sourdough base is stunning and absolutely up there with the best in town for me. Pictured above is the Cheezus. I tried this under its previous name – Quattro Formaggi – last year, and I’m sure you’ll agree it’s come on leaps and bounds. All of their vegan cheeses are now made in house and this baby features mock smoked mozzarella and makeshift ricotta among other delights each made from coconut, almond or rice. I love this pizza because it showcases what’s possible in terms of different tastes and textures of plant based cheese if you know what you’re doing, which these guys absolutely do. This is one of their most popular pizzas, and I can see why. The flavour combination here is bang on. Aubergine, smoked mozzarella, basil, sliced sausages and nutritional yeast come together for a really unique taste. This was a favourite with us both. If you’ve enough room, I recommend the chocolate calzone because it will blow your mind. Woefully, I couldn’t manage it because I’d just eaten an entire pizza, so Tom and I shared the chocolate brownie. Dense, rich, and everything you’re looking for in a brownie sans eggs and butter – beautifully presented, to top it all off. Every single member of staff we came into contact with was lovely, we were looked after so well. They knew, of course, that we were in for review, so I can’t vouch for it as a completely authentic representation for sure, but they’re truly lovely people and the atmosphere in there with the other diners spoke for itself. Whether you’re vegan or not, pop in to Purezza for a pizza ASAP. You won’t be disappointed and they’re a fantastic local business well worthy of your support. Hey Cate, just a quick one from us to say thank you so much for the kind words! Means a lot to us. The cocktail sounds like it *may* have been the caipiroska! Glad you enjoyed it. That’s exactly right – will amend this evening! Thanks so much again, guys. Oh wow 🙂 This looks incredible! We’ve been meaning to visit Brighton for ages, this will have to go on our ‘to visit’ list! It’s reeaally good! Whack The Chilli Pickle on that list as well and thank me later! Oooo fancy pizza, the interior is gorgeous too! I must admit though, the brownie caught my eye – it looks delicious! Tiramisu comes highly recommended too! Thanks for the recommendation to go here. My daughters been hassling me to go since it opened and with this reminder I’m going to hassle her now! I’ve been vegan for over 30 yrs and as there weren’t cheese subs then I’m not a great mock cheese fan but having tried a couple recently,I think with these in house cheeses I’ll be spoilt for choice! Hey Chrissie, thanks so much for your comment. I definitely think you’ll find something you like in one of their many plant based cheeses, do let me know how you enjoy your visit!